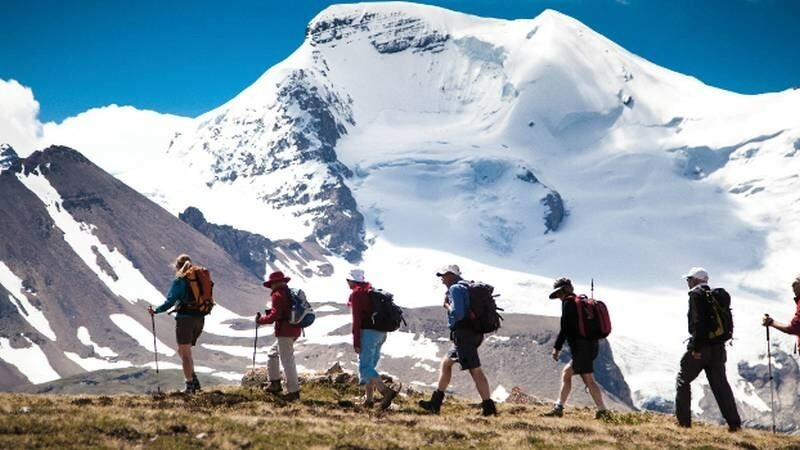 The trip offers you the challenge of trekking the very best routes throughout the Canadian Rockies seeing incredible sights in one of the most amazing countries. The Katy Holmes Trust is very proud to have organised this trek alongside Life Changing Challenges in memory of beautiful 10 year old Katy Holmes as part of her incomplete bucket list. Katy was only 10 years old when her life was tragically cut short in 2012 by a cruel brain tumour. Katy made a list of places she wanted to go to so we honour her memory by completing the challenges for her and raising money to fund paediatric brain tumour research. We would love to welcome you on board and look forward to hearing about your fabulous fundraising efforts! We very much appreciate how hard it can be to raise money so we are only asking that you pledge to raise a minimum of £500 for The Katy Holmes Trust. We can be found on Just Giving, BT My Donate and Virgin Money Giving too. We also have a fundraising pack and sponsorship forms. If we can help you in any way then please do not hesitate to get in touch. Having worked very closely with Life Changing Challenges previously you can be assured that you will have a fantastic time full of fun and excitement but most of all you will have the most incredible memories to cherish forever. That is what life is all about after all. 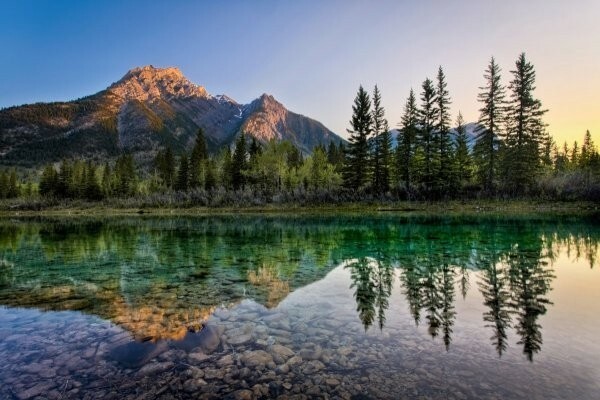 Flights depart from Heathrow Airport and arrive in Calgary where a private transfer will take you directly to Kananaskis in the Rocky Mountains. To help with your acclimatization you will stay in the hotel for a night enabling you to relax and prepare for the treks ahead. It’s also a night where you will meet the guides for an evening briefing. 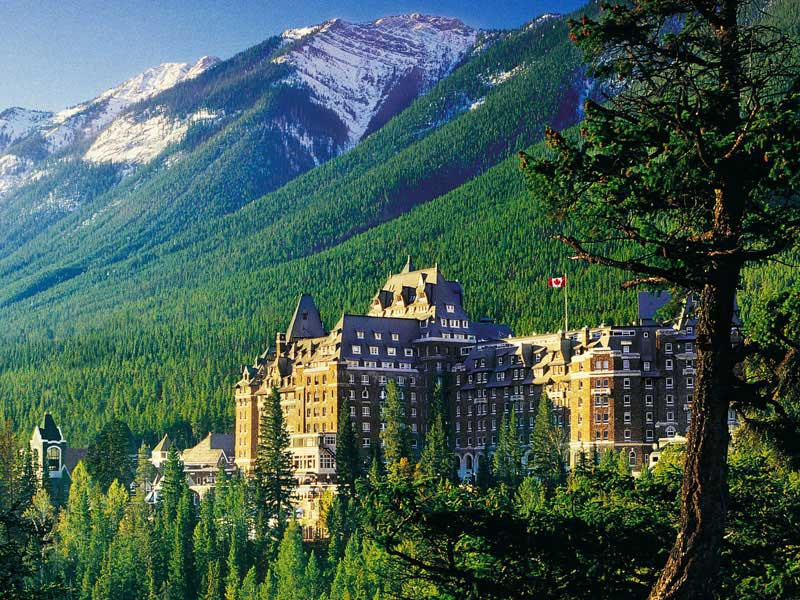 The following 5 days is packed with the very best treks in the Rockies taking you on the most amazing trails and finishing at Lake Louise and Banff for a celebratory dinner. Each evening you will check-in to a very comfortable hotel for a hot shower and a good dinner to maximize the whole experience. This program is designed for fit walkers but no previous mountain hiking experience is required. 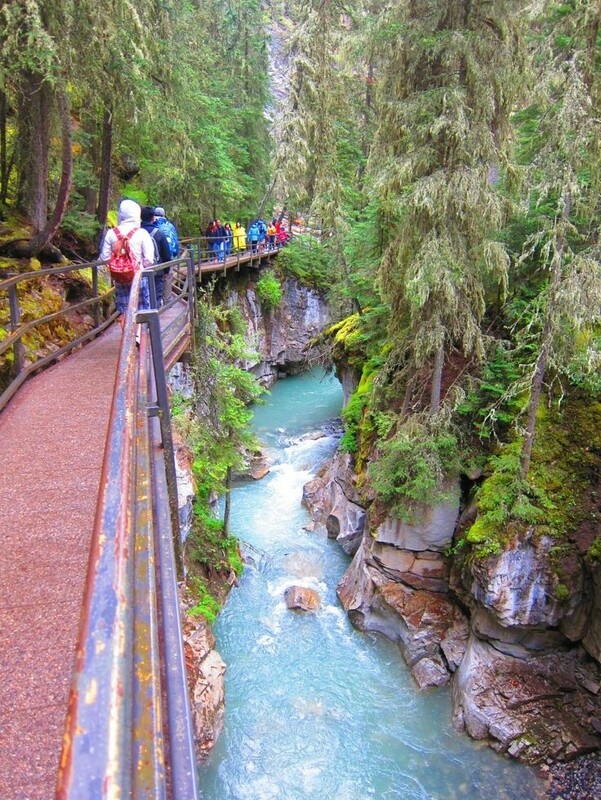 This Canadian Rockies walking trip involves hiking for up to 6 to 7 hours per day, usually with distances of 10-14 Km. The final walk may be longer with a possible distance up to 21 km. Elevation gains will vary from 300 m up to 800 m and you will need to carry a daypack large enough for spare clothing, your camera, lunch and something to drink each day. Your guides are experienced professional hiking guides with certification from the Association of Canadian Mountain Guides and from the Mountain Parks Heritage Interpretation Association. They are chosen for their enthusiasm and interest in sharing their knowledge of these mountains. Throughout the trip you will be very well looked after and all the staff and more than willing to help and advise throughout. DAY 1 – Depart the UK from London Heathrow Airport to Calgary in Canada. 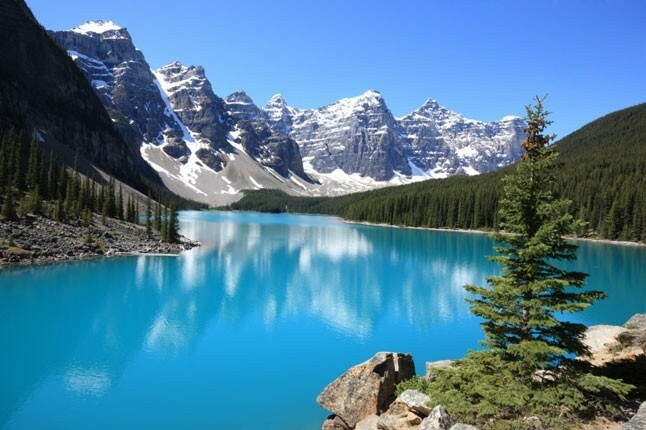 Upon our arrival in Calgary we will transfer to Kananaskis and in the evening meet for a team briefing with the guides ready for the following days. We’ll review maps of the area and will make sure that you have everything that you need. Your guide will meet you back at the hotel after breakfast, following which we’ll head out on our first hike in Kananaskis country. Our choice to break the ice is Prairie View Lookout trail. 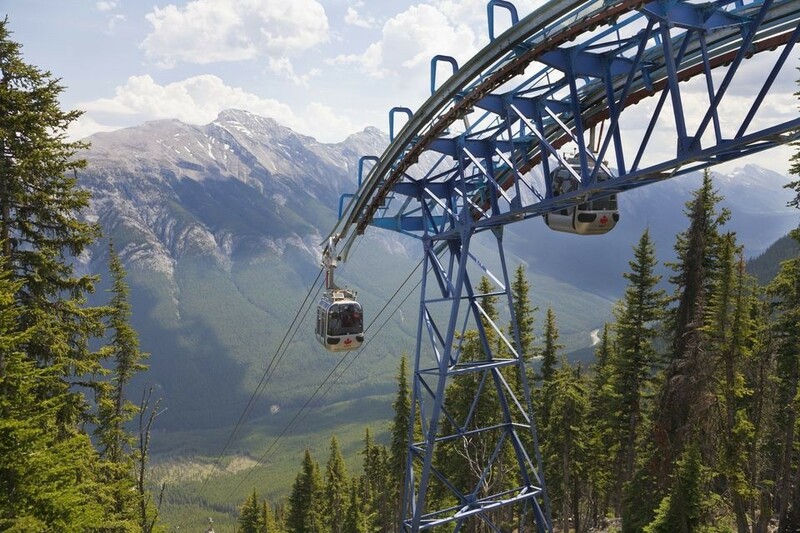 This trail, located in the Front Ranges, will allow you to see the incredible difference there are looking east towards Calgary and the Prairies or looking west towards the incredible Canadian Rocky Mountains. Our drive to Banff will be done through the scenic Spray Lakes road. About half-way through, we will stop for our day hike, Chester Lake or Burstall Pass. Your guide will make the best decision depending on the group to let everyone get acclimatized to our higher elevation and dryer air. DAY 5 - Fire and Ice Today’s hike takes us into Kootenay National Park and the Stanley Glacier Trail. You’ll walk through a remarkable valley of “Fire and Ice” – “fire” being the remains of a 1968 wildfire, almost regrown now, and “ice” being the Stanley Glacier overhanging the cliffs at the head of the valley. Elevation Gain: 600m. 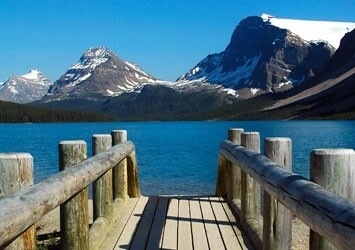 After a healthy breakfast, we’ll drive directly to world famous Lake Louise. 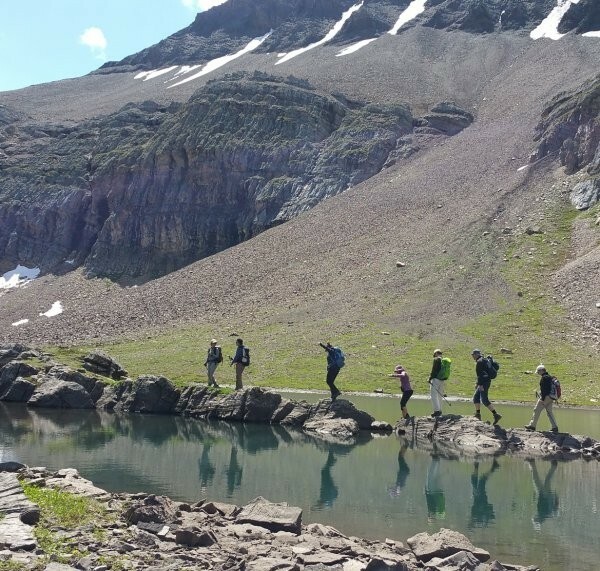 Here we will have a choice of hikes available including a walk to the Lake Agnes Teahouse, or to the Plain of Six Glaciers or to do a round trip circuit including both. After our hike we’ll head towards Lake Louise Village for the evening. For our final day of hiking, we’ll have a difficult choice to make: either Moraine Lake and Sentinel Pass or the Iceline Trail in Yoho National Park. It’s a difficult choice to make because we consider both trails to be in the list of top hiking trails of the Canadian Rockies. We will be well rewarded at the end of the day while sitting altogether for our farewell dinner (included). Breakfast at Lake Louise followed by a transfer to Calgary in the morning and flight back to the UK. DAY 9 – Land back in the UK at London Heathrow Airport. Numbers Due to the nature of this trip groups sizes are restricted to c18 people per expedition. The group will be decided on a first come, first served basis… so get your deposits in early to secure your place. This trip operates during the summer, though snow can linger at high elevations until well into the season. Weather is unpredictable at any time of year, but its generally quite warm in August. Daytime highs range from 15-25 C and night time temperatures drop to 5-10 C. As with alpine environments throughout the globe, the higher you go, the lower the temperature becomes. Ensuring that you have the correct clothing for an alpine environment is crucial. The cost of the trip is £2,500. plus a donation payable directly to The Katy Holmes Trust. The charity would appreciate if you could raise as much as you can and set yourself a fundraising goal of £500. There is a £250 trip deposit (non-refundable) to book your place and the remaining balance is paid in instalments.